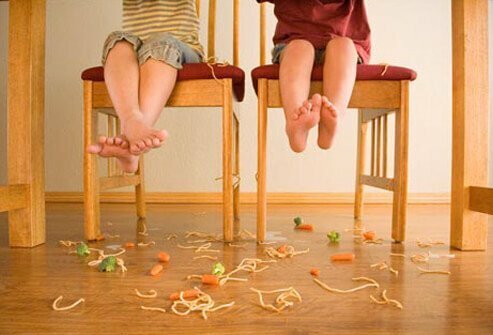 Your child may happily eat some foods and toss others on the floor. Is it just a phase, and how long will it last? What do you do in the meantime: Give them what they want, or hold your ground? Don't turn mealtime into a battle of wills. Keep offering a variety of good-for-you foods, even if your kid rejects it at first. Many kids take their sweet time before deciding they like a new food after all, so keep trying. Offer fruit, vegetables, and even "grown-up" food, without pressure. Your child may surprise you with what they like. Does your child say he hates asparagus, even though he's never tried it? It happens a lot. Many vegetables have a strong smell and taste, especially when cooked. Be patient. He may want to see it and smell it before he'll taste it, and even then he may spit it right back out. Take a breath and try it again another day. 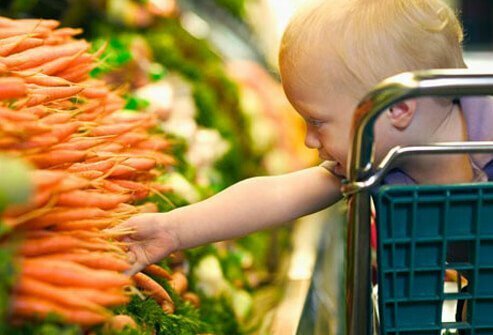 Many children warm up to veggies when they've helped pick them out, whether at the store or at meals. If green veggies turn him off, try orange or red ones instead. Or offer them raw with a dip like ranch dressing or hummus. Although hiding vegetable purées in foods like baked goods or pasta sauce is a short-term fix, it doesn't teach them to like those veggies when they are out in the open. Does your child drink so much milk or juice during the day that she's not hungry at mealtimes? It can be a problem if she drinks so much it makes her miss meals. 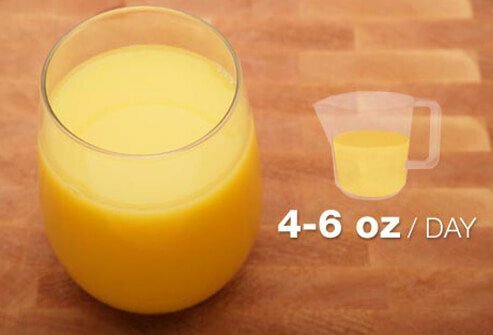 For children ages 1 to 6, keep juice to 4 to 6 ounces a day. That's 1/2 to 3/4 of a cup. Avoid juice with added sugars. 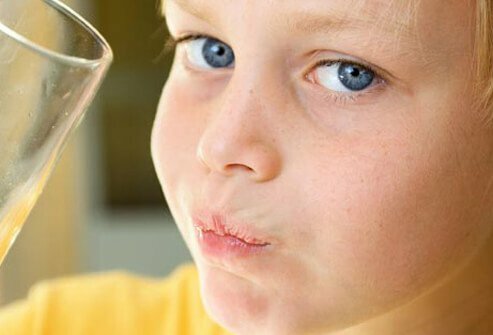 Water it down gradually until your child is drinking plain water. Or try serving milk or juice for meals and water the rest of the day. Your child should have about 2-2½ cups of milk a day. Remember that kids over 2 should be drinking 1% or skim milk. Does your child have a sweet tooth that won't quit? She insists on sugary cereal for breakfast. You open her lunchbox to find she's eaten the cookie and nothing else. At dinner, she begs for dessert right away. 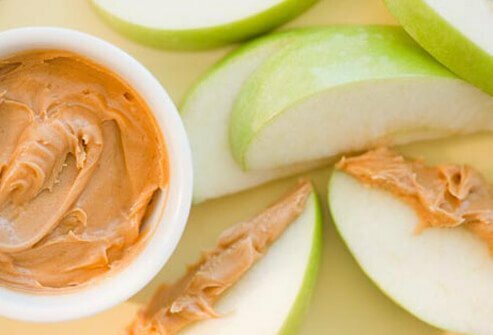 Offer snacks that are naturally sweet (low-fat yogurt, fruit, frozen bananas or grapes, apple slices with peanut butter). Don't keep many sweets in the house. If they're not around, she won't be tempted by them (and neither will you). 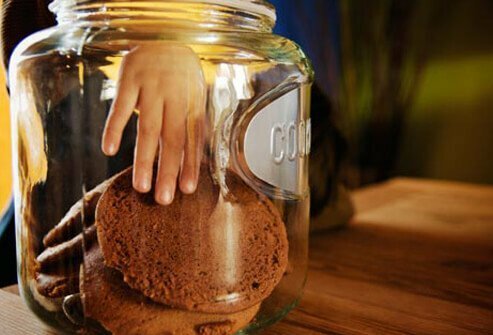 Don't use sweets as a bribe or reward. Make them a small part of a balanced diet, rather than the big prize after your child has cleaned her plate. 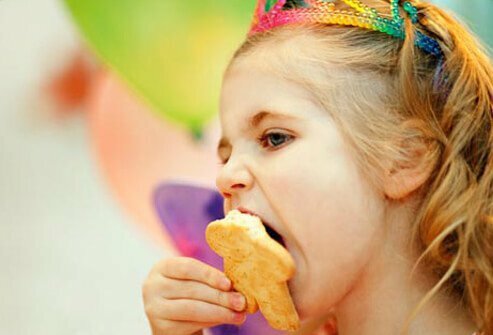 Many kids snack so much all day that they're not hungry at mealtimes. Kids need to eat up to six times a day, including three meals and two or three snacks. So how do you keep him full and happy all day while making sure he saves room for a healthy dinner? 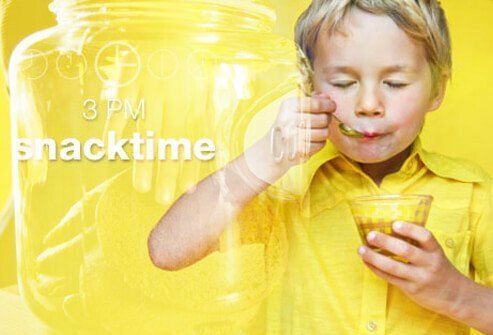 Get your child on track by setting a time frame each day for meals and snacks. Your child may still skip a meal once in awhile, but if there's a schedule, he'll know when to expect the next meal. If your child wants a snack at another time, offer items like fruit, vegetables, yogurt, peanut butter, cereal, or half a sandwich. Why Is He So Picky? 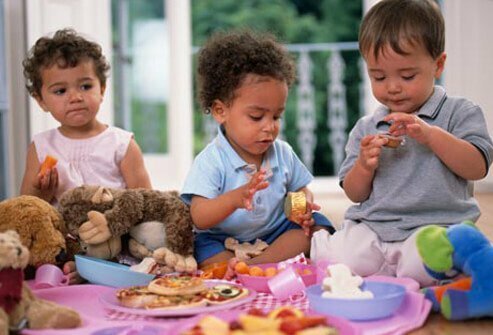 Many young children are picky eaters. Choosing when and what they'll eat is how they learn to be independent. Most develop healthy eating habits as they get older. 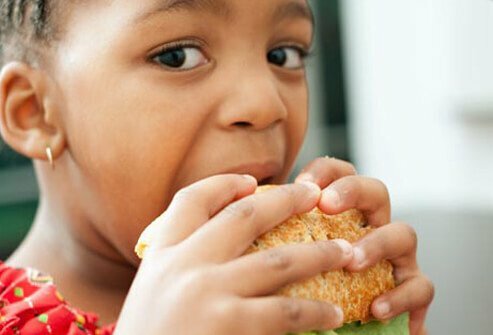 If you think your child physically has trouble eating, talk with your pediatrician. Those cases are rare, and remember, the pickiness is probably just a phase. 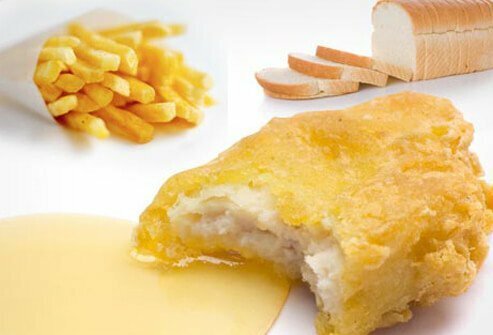 If your child seems to live on nothing but three chicken nuggets a day, you might wonder if he needs a lot more. But if he has plenty of energy and is growing at a healthy rate, he's probably OK. Still, it's a good idea to talk to your pediatrician. If your child isn't growing at the normal rate for his age, you and your pediatrician should look into that. Little tricks can sometimes encourage better eating. For instance, you could cut foods into fun shapes using cookie cutters. Turn mealtime into a game to see who can "eat all their colors." Or try an at-home picnic for a change of scenery. Keep the mood happy and upbeat by talking about fun topics. "If you eat all your broccoli, you can have some ice cream." Don't go there. Bribing is shortsighted, and it backfires. It can teach your child to value treats more than other foods and to please you through food. Take the focus off dessert, don't use it as a reward. Just because he's turned up his nose at zucchini the last five times you've served it, don't give up. Most children will try a new food after it has been offered 10 to 15 times. When introducing new foods, keep portions small, and when you offer something new, also serve a food you know he loves. Resist the temptation to prepare special meals just for your picky eater. 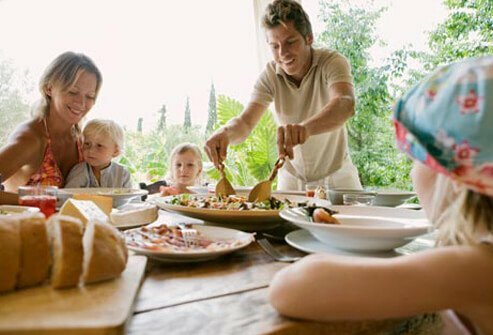 Offer the same foods to the whole family, but try to make at least one thing that you know he likes. If someone in your family is an adventurous eater, apply a little positive peer pressure by seating them next to the picky eater. 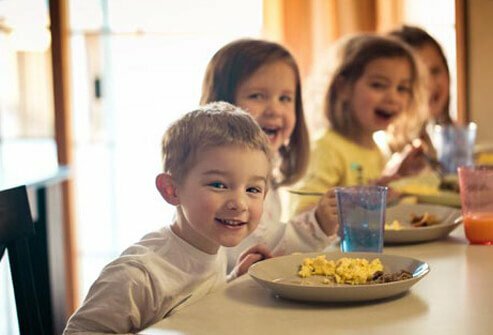 Kids who help prepare a meal are much more likely to eat it. 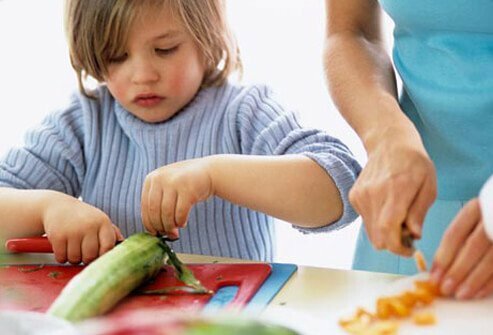 Let your child help shell beans, roll out dough, wash lettuce, or other easy meal prep. She may give them a try once they are on her plate. Bargaining with your child over food sets you up for a power struggle. 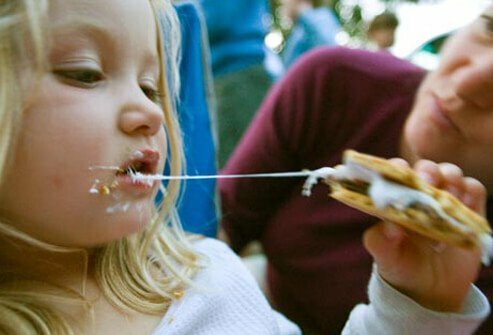 Put the food in front of your child, and leave it up to her whether she eats it or not. Let her follow her own hunger cues. Kids copy the adults in their lives. Are you modeling the kind of eating habits you want them to have? It's just like other things in parenting: Your child is looking to you, so let them see you walk your talk. It's tempting to give in when she asks for an unhealthy snack. If it's not a rare treat, giving in may start to set a habit that's hard to break. 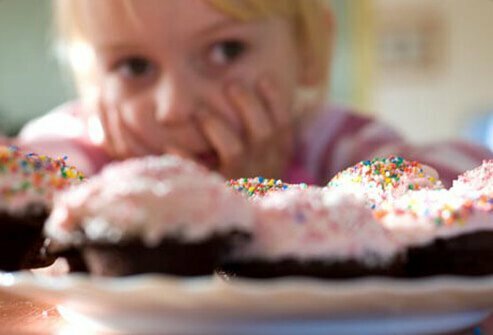 Kids naturally love sweet and salty foods, just like the rest of us, and it's up to parents to offer choices that nourish and to keep treats as exceptions. If your child is pushing food around on her plate, she may be full. Forcing her to keep eating can set her up for overeating and weight problems down the road. Offer child-sized portions of a variety of healthy foods, and let her decide when she's had enough. Will She Ever Outgrow It? Most children get over being picky eaters by the time they reach school age. In the meantime, take it in stride. 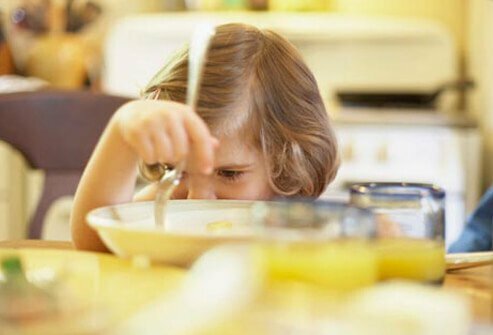 Praise your child for what she's doing right at mealtimes, and don't make a big deal about picky behavior. The more you talk about it, the more likely she is to keep doing it. A nutritionist can help you cover your child's nutritional needs, too. 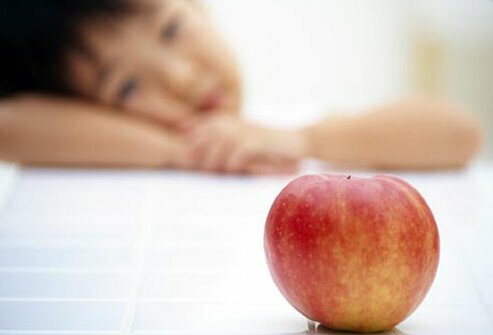 Autism-Help.org: "Eating and Feeding Issues." Clemson Cooperative Extension: "Picky Eaters." 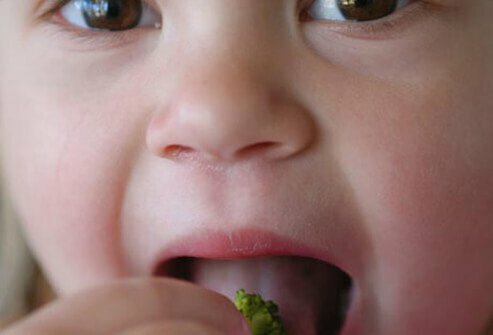 FamilyDoctor.org: "When Your Toddler Doesn't Want to Eat." 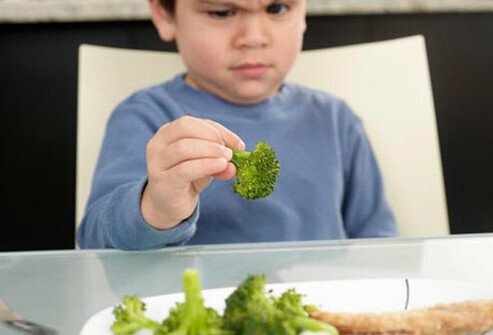 KidsHealth.org: "My Toddler Hates Vegetables. What Can I Do?" "Toddlers at the Table: Avoiding Power Struggles." United States Department of Agriculture: "Make Food Fun for Picky Eaters." USDA's Center for Nutrition Policy and Promotion: "Dietary Guidelines for Americans, 2010." University of Michigan Health System: "Feeding Your Child and Teen." 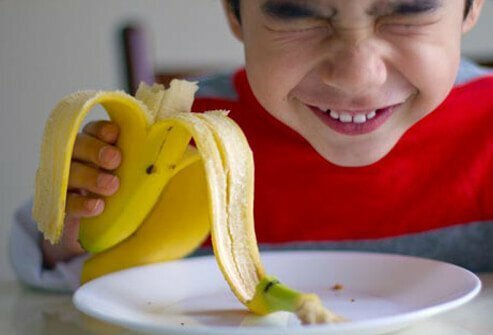 ZeroToThree.org: "How to Handle Picky Eaters."